Whose heritage is it anyway? The line between respect and parody can be narrow especially when we’re talking about another culture. When is it learning about and respecting a culture, and when is it pretending to be from that culture? The play starts at Jojomon, a fictitious but oddly familiar sounding yoga apparel giant just after its famous leader and founder is brought down by a fat-shaming scandal. The company has hired a new boss to stabilize the situation, and the company. Then things get complicated. Meaningful humour ensues. 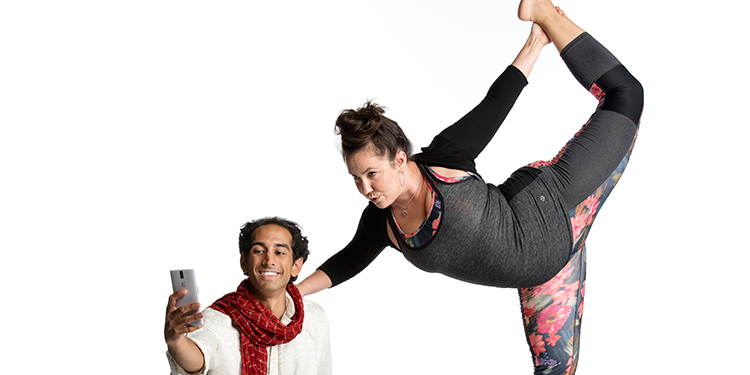 Under the direction of departing Gateway Artistic Director, Jovanni Sy, “Yoga Play” written by Dipika Guha, explores the fashion of yoga, originally Ancient Indian physical, mental, and spiritual practices. Just as Christianity comes in many forms and denominations, so does yoga. 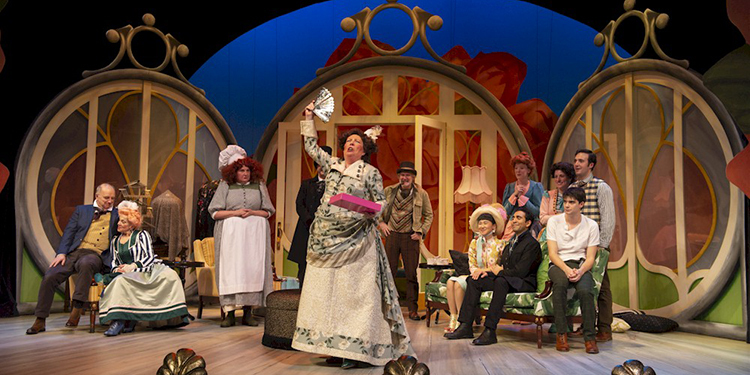 Guha says, “At its heart, this is a play about what it means to be yourself." Quintana says these issues are important not only to her but to all Canadians. Quintana lauds Gateway Theatre and other companies working to have characters of a given background actually played by people of that heritage. Quintana goes on to cite groups that go even further, such as Gateway and Bard on the Beach for their diverse casting choices for all roles, not just roles representing a minority. She discussed Bard’s production of Lysistrata, where the entirely female cast represented women of a variety of backgrounds, ages, stages, body shapes and cultures. “So when we then go to our work on stage and make ourselves visible in front of audience we carry the responsibility of our heritage,” Quintana says. Gateway offers special events ranging from pizza time, tea, yoga classes and talk-backs accompanying the play, that are free with a ticket. Click here for more information on the special events, the play, and to purchase tickets for Yoga Play which runs Feb. 7 through 16.